Being an Android user, getting fascinated by an iOS device and its upgraded features is normal. And like others, perhaps you've also got attracted towards it and are planning to switch from Android to an iPhone. Well! Your decision is much appreciated. Who would not want to enjoy the best features? Now that you have finally planned to shift from an Android, you might have wondered how to transfer contacts from Android to iPhone. Since these are the most essential part in our life that help use to keep in touch with the others, it becomes a need to transfer them in the first place. And you should not be wondering anymore as moving contacts from Android to iPhone have become easier than ever with the progress of technology day-by-day. Here, we will recommend you 3 different ways with the help of which you will find how much easy is to import contacts from Android to iPhone. Let us begin to learn the three ways. If you wish to move messages to new iPhone from an Android device, the app that can help you will be 'Move to iOS'. It is the app that lets you transfer various contents from an Android phone to iPhone. However, you can't get your apps, music or any of your passwords transferred via this app. let's get to know how this app works. One of the most reasonable ways that comes in the list to transfer contacts from Android to iPhone is using 'Move to iOS' app. with the help of this app, you don't need to connect your Android and iOS devices via any cord or go through any kind of such process. Both the devices just need to have the app installed on it. These are the steps involved in the process. To begin with, turn on your new iPhone and get to the setup screen. In case you've already using it, just factory reset it and restart it again. After turning it on, look for the 'Move Data from Android' option on the 'App & Data' screen. In your Android device now, install and launch the Move to iOS app from Play Store. After opening it, hit on 'Continue'. Now, tap on 'Agree' and then tap 'Next' button. Hit 'Continue' on your iOS device now and you will find the code of 10 digits. This code needs to be entered on Android device to make connection between both the devices. From the list on Android device, choose contacts option and hit on 'Next'. The contacts will be successfully moved to your new iPhone. Hit on 'Done' once completed. A yet another way to move contacts from Android to iPhone is taking help of your Gmail address and accomplishing the task. You can sync the Android contacts with Google and then login with the same ID on your iPhone to get the contacts. Here is the elaborated process to make you understand better. 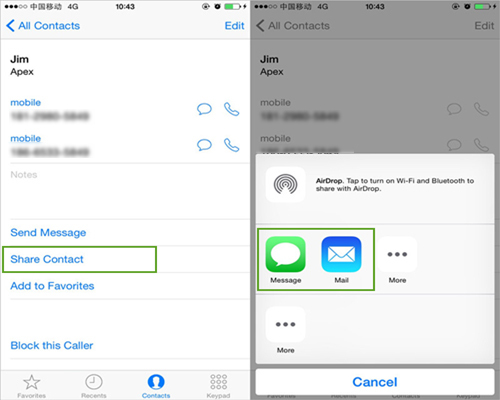 Firstly, you need to sync the contacts as stated above. Open 'Settings' in your Android device and go to 'Account & Sync'. Tap 'Google' and sign in with the preferred Gmail account. Hit on 'Contacts' to turn it on and then hit on 'Sync Now' button. Note: The syncing process can vary according to your device. In some devices, you may find only 'Accounts' option instead of 'Accounts & Sync'. So, make sure to explore a little bit yourself. Your contacts are now saved in your Google account. Now, get your iPhone and open 'Settings' and tap 'Accounts & passwords'. 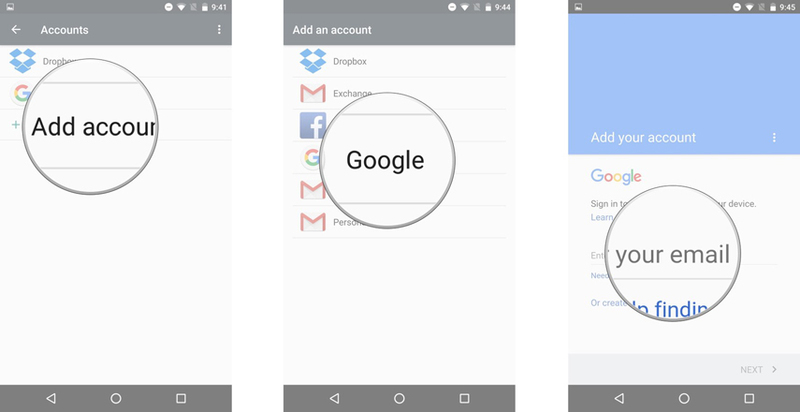 Tap 'Add Account' > 'Google' and sign in with the same credentials as in the Android. Enable 'Contacts' and get the settings saved. Your synced contacts will be on your iPhone now. In case you wish to get your contacts transferred from old iPhone to the new one, we would like to introduce and highly recommend you Tenorshare iTransGo. 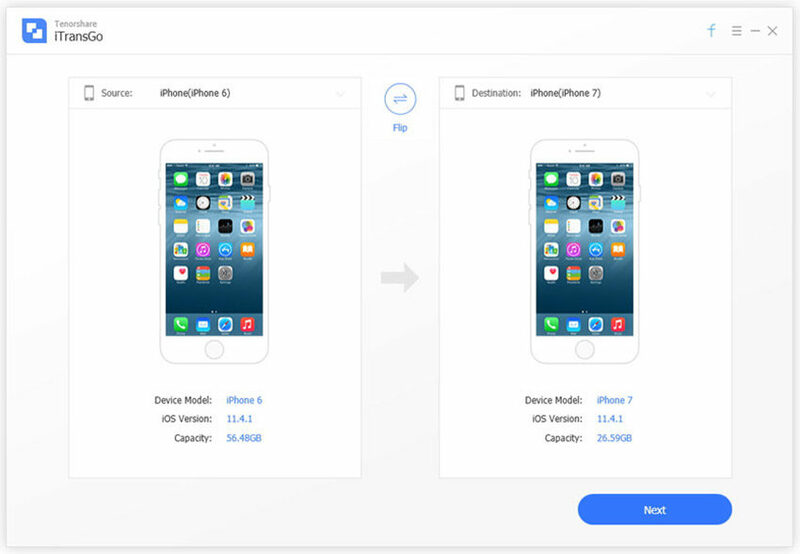 This program lets the users transfer their data from one iOS device to another without any complications. The best thing is, you can simply select what type of content you want to transfer. Here are the steps to use this product. Step 1 – Launch the program on PC and connect the two iOS devices to the computer via lightening cable. Set the devices as source and target according to the needs. Step 2 – Hit on 'Next' and let the program scan your device. Select the data types listed on the screen and click on 'Start Transfer' button. The selected files will be transferred in a while to the new iOS device now. Those were some easy and effortless ways for transferring contacts from Android to iPhone. You can use the one according to your preference and needs. We also made you learn how you can execute transferring of data between iOS device with reliable and reputable software. We hope you know now how to move contacts from Android to iPhone and can do it on your own using the suitable method. Please share this post to your friends and let us know how you got help from it.